(as we rather crassly put it sometimes) is an academic. An intellectual. A specialist reader who doesn’t fool around with the ordinary stuff. You need something eccentric and deep, but good. Good as in well-written and high caliber but also morally good. Not just any weird brainy stuff will do. Or maybe you know a seriously intellectual reader, and you’d love to shower this person with some book lovin’. That is, their love language comes between covers. You know, we might be able to help. Here is a list of a bunch of random titles, just odd-ball stuff we have in the shop that I like. All of these are pretty scholarly, kinda rare, sometimes pretty darn rare. Why in the busiest shopping week of the year am I not promoting The Christmas Shoes, Joel Olstseen, or some other sure sales winner? Don’t get me started. 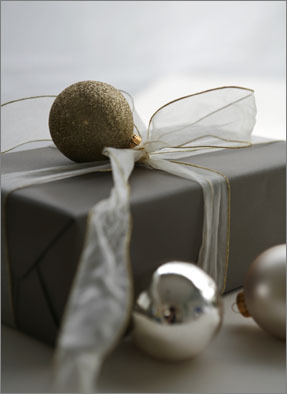 This may prove foolish, but I think somebody out there needs to know that we here at H&M have some pretty unique gift ideas, for the serious book lover and finely tuned scholar on your list. 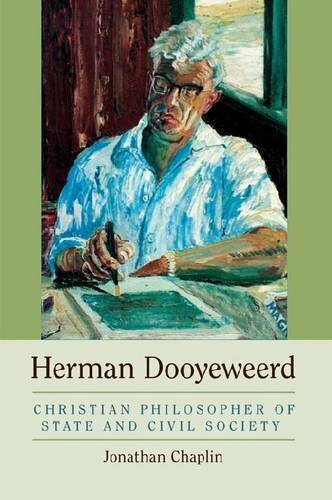 Herman Dooyeweerd: Christian Philosopher of State and Civil Society Jonathan Chaplin (University of Notre Dame) $68.00 I will talk about this in my year’s end “best books” list, but you should know that for many important writers Dr. Dooyeweerd is more than a Dutch philosopher with a funny-sounding name. He is one of the most seminal thinkers of the 20th century, who gave academic rigor to a rejection of the objectivity of reason and therefor called for a social philosophy that invited structural pluralism. What a list we could compile of those who have grappled with his formative and deeply Christian theorizing: Yale philosopher Nicholas Woltersdorff, legal scholar John Witte, aesthetic thinker Calvin Seerveld, Biblical scholar Craig Bartholomew, popular cultural critic Nancy Pearcey, musicologist Jeremy Begbie, neo-Calvinist worldview guru Al Wolters, postmodern thinkers Jamie Smith and Brian Walsh, Fuller Seminary President Richard Mouw, Center for Public Justice Director Gideon Strauss, human rights worker and Islamic scholar Paul Marshal, the smart people who edit Comment magazine, educator and worldview scholar David Naugle, gender studies professor Mary Stewart Van Leuween, and so many more. This is the best introduction to him yet, with a special eye to his political theory. For anyone interested in civil society or the deepest ideas that inform most of the idea-leaders I most respect, this would be a serious purchase of an important scholarly work. What Is a Person Christian Smith (University of Chicago Press) $40.00 A year or so ago and intellectual I respect was lecturing on how changing fundamental assumptions can change paradigms within entire academic disciplines and how Christian scholars can contribute to the renewal of culture by thinking foundationally about the big stuff in their fields, and earning the right to make serious contributions by doing faithful, steady, long-haul work. He said that the forthcoming Chris Smith book may be such a work, changing the way many in the social sciences see the human condition. That book is now out. The endorsements have been mighty. What a thrill to have this in our small town bookstore. Spread the word; you heard about it here. Destined to be considered a lasting contribution, a pivotal work. 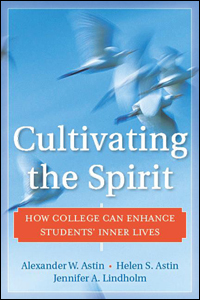 Cultivating the Spirit: How College Can Enhance Student’s Inner Lives Alexander W. Astin, Helen Astin, Jennifer Lindholm (Jossey Bass) $40.00 Those who work in student development or any sort of professional capacity at a college campus may know about this; it has been long-awaited and much anticipated. Endorsements on the back include rave reviews by Parker Palmer, Ken Wilber, Derek Bok, and Sharon Daloz Parks. Enough said, eh? Not necessarily a Christian perspective, but the Astin’s legendary role in studying student life position them to offer insight that anyone interested in faith and spirituality must be aware of. Essential. 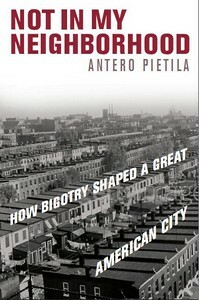 Not In My Neighborhood: How Bigotry Shaped a Great American City Antero Pietila (Ivan Dee) $28.95 Everyone knows the story of “white flight” from Northern cities when after WW II souther blacks immigrated northward, and the huge implications for urban life and the rise of suburbs. Few places did this happen as widely and as meanly as Baltimore, and that, itself, played a pivotal role in our nation’s wider, shameful history of racial segregation. This is serious social science, yet not theoretical; it is oral history, rip-roaring reporting, a blockbuster of a book, as one reviewer put it, “full of memorable characters, dramatic choices, and tragic policy failures.” It is great when a serious, well-researched work is also a page-turner of great import. great books on racial reconciliation, ethnic diversity, and the history of the civil rights struggles. I wish more folks would discuss those books in our shop. Not everyone may need to read this massive volume, but it is remarkable, a major work, an impressive, scholarly re-think of this momentous topic. If even a few of her many fans commit to wading through her wonderfully written history of colonial Virginia, this obscure academic work could become a best seller! Three cheers! The Comfort of Things Daniel Miller (Polity) $19.95 I love well-written ethnographies, and I’m interested in the way we attribute meaning to, or draw meaning from, the material stuff of our lives. This is “shoe leather fieldwork” at its finest, doing what some now call “micro-ethnography.” One scholarly publisher wrote that “Miller writes better, and with more insight and compassion, than most novelists. This book will profoundly change the way you look at your friends’ and neighbours’ homes and possessions, and indeed your own.” This opens up new ways to understand how ordinary people organize their lives, and how they relate to their material things—their house, furniture, animals, music, Christmas decorations, tattoos, scrapbooks, etc. Fascinating. 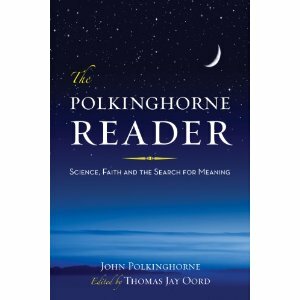 The Polkinghorne Reader: Science, Faith and the Search for Meaning John Polkinghorn (edited and compiled by Thomas Jay Oord) (Templeton Press) $19.95 Few have crossed the boundaries and brought together different readerships than the Anglican priest and scientist, John Polkinghorne. He is both a serious theologian of the sciences and has become a popular author for lay readers. 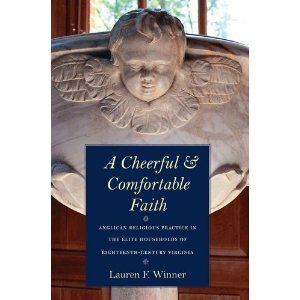 Here is a long-awaited greatest hits, an anthology that is at once a great introduction and a clearly-organized volume that can help readers come to terms with his particular approach to the integration of faith and science. Darwin’s Pious Idea: Why the Ultra-Darwinists and Creationists Both Get it Wrong Conor Cunningham (Eerdmans) $34.99 It isn’t every day that sociologists like Charles Taylor and rock star philosophers like Slavoj Zizek endorse a Christian author like this, but this seems to be one of the more important books of its kind in years. Cunningham, a prominent public intellectual from Nottingham, makes a serious claim that given the nature of the Christian God, an evolutionary account of life is necessary… Over 500 pages. Mathematics and Religion: Our Languages of Sign and Symbol Javier Leach (Templeton Press) $19.95 The innovative folks at Templeton are passionate about the interface of faith and science and have this good “Science & Religion” series, including paperbacks on neuroscience, paleontology, technology, and other specific disciplines. This one, written by a Jesuit mathematician, reflects on important ways in which theological convictions shape how mathematics is construed. There isn’t much mature stuff on this topic—Mathematics in a Postmodern Age edited by Russell Howe (Eerdmans; $35.00) is excellent, but very heady—so this is a gem to know about and pass on. 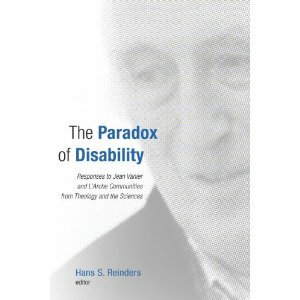 The Paradox of Disability: Responses to Jean Vanier and L’Arche Communities from Theology and the Sciences edited by Hans S. Reinders (Erdmans) $18.00 This is the perfect kind of volume to create important conversations (in this case around the topic of disabilities and handicapping conditions) but it is also the kind of title that that can turn people off. “Responses”? “From Theology and the Sciences”? Here me out: Jean Vanier is the gentle soul (who is on my list of those I’d read nearly anything he wrote) who had such an impact on the spiritual writer, Henri Nouwen. L’Arche are those communities with the disabled, and here are papers from a conference where folks pushed back–in appreciation and great care–to challenge or refine Vanier’s idealistic vision of building communities with the mentally challenged. The heart of this book is not just a response to Vanier, but a response to his vital question, the heart of his work: “what have people with disabilities taught me?” I only know a few of these writers (Stanley Hauerwas, of course, who has experience of this questions) but that doesn’t matter. This is spectacular. We have a number of books on this topic, and this is great. The Disenchantment of Secular Discourse Steve Smith (Harvard University Press) $26.95 I loved the description of this in the Harvard University Press catalog, but only learned later that the author is a Christian of solid conviction. After we stocked it, I saw a discussion of it in The Christian Scholars Review. 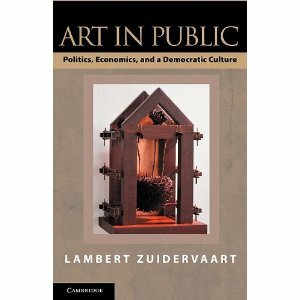 I think it is fabulous, and a well argued brief for the proper role of religion in public life. ritten history of the life and thinking of this modern American intellect, author of The Culture of Narcissism. 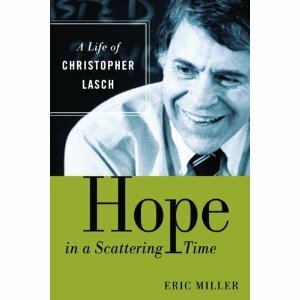 For a young evangelical scholar to bite off such a massive project, and earn accolades from the likes of Robert Coles, Will Campbell, Jean Bethke Elshtain, and Wilfred McClay is remarkable. Kudos! Confessing History: Explorations in Christian Faith and The Historian’s Vocation John Fea, Jay Green, and Eric Miller (University of Notre Dame) $35.00 Three young, respected scholars from three mature evangelical colleges, worked to find pieces that explore the theories and approaches to history that comport with a Christian worldview. Every academic discipline should be so fortunate to have emerging scholars that have stood on the shoulders of older leaders in their field (in this case, like Mark Noll or George Marsden), thought deeply about the most basic matters, and then got busy doing good scholarly work. A must for historians, and nearly a must for anyone interested in how Christian presuppositions shaped academic work. Highly recommended. The Anti-Communist Manifestos: Four Books That Shaped the Cold War John Fleming (Norton) $27.95 The awful fruit of the Cold War has been, among other things, the rise of fundamentalist Islamic terrorism, and the spread of evil nuclear weapons. We simply must know more about the ideas and practices that shaped those post-WWII worldviews. This book is a study of four books. And how they shaped a generation. If there stakes were not so high and the costs so tragic, I’d say this is just really cool intellectual history. Read ’em and weep. A respected historian of the Cold War era says it is “astonishingly humane and deeply moving.” Non-partisan and insightful history. You know, of course, that one of these is Witness by Whittaker Chambers. The Power of Place: Geography, Destiny, and Globalization’s Rough Landscape Harm De Blij (Oxford University Press) $16.95 I love the Bill Moyers’ quote: “What Carl Sagan did for cosmology, De Blij is doing for geography.” Pretty darn amazing, readable, fascinating. He is the author of Why Geography Matters. The Etiquette of Freedom: Gary Snyder, Jim Harrison, and “The Practice of the Wild.” edited by Paul Ebenkamp (Counterpoint) $28.00 Gary Snyder has been an outlaw beat poet, writer, Buddhist devotee, an activist living wild in the land, standing for ecological principles and writing mystically about them, for a lifetime. Here he gathers with another well known writer and poet as their conversations were recorded, and turned in to a documentary. This includes some of the transcripts of those moving discussions, serving as a companion to the film, and includes a DVD of the movie and an extended reading by Snyder. I wonder if we may be the only Christian bookstore in the world that carries such a thing, but we find it truly inspiring. Cultivating Soil and Soul: Twentieth-Century Catholic Agrarians Embrace the Liturgical Movement Michael J. Woods (Pueblo) $39.99 I sometimes wonder who will actually buy the books we stock, but this is so amazingly interesting, I sure hope somebody does. I suppose you’ve heard of these agrarians, perhaps influenced by the “distributists’ like G. K. Chesterton. How did this “sense of place” effect liturgical reforms? An important text by a professor of religious studies at Gonzga University, with a particular focus on the relationship of liturgy to daily living, especially around issues of environmental sustainability. A publication of the National Catholic Rural Life Conference. Redeeming Economics: Rediscovering the Missing Element John Bueller (ISI Books) $27.95 I am not always a fan of the Ethics and Public Policy Center where Bueller directs the “Economics & Ethics” program but they are a thinktank I pay attention to. I’m not sure a book with endorsements by William Kristol is my cup of tea. Yet, this is handsome, thick, has a great title, and rave reviews from morally serious writers. George Weigle says “Mueller is that rarest of thinkers, one who can make the ‘dismal science’ thoroughly engaging at a very human level.” There is a huge need for the history of economic thought, and this is one important contribution, wide in scope, erudite, given to (as Larry Kudlow says of it) “combing markets and morality to help fix what’s broken.” Drawing on Aristotle, Augustine, and Aquinas, it seems to be a very serious work. 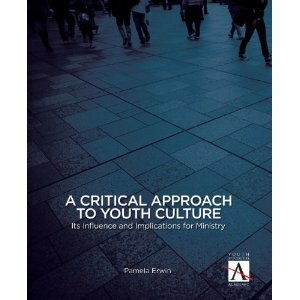 A Critical Approach to Youth Culture: Its Influence and Implications for Ministry Pamela Erwin (Youth Specialties Academic) 34.99 I loved this because it is a fairly thorough study of and contribution to the debate about what culture even is, and how best to understand it Christianly. If youth ministry—of any sort of ministry, for that matter—needs to take the culture in which we are embedded seriously, we need these kinds of sustained treatments. Very important, arranged with enticing care to the important questions, and pretty fun at that. Imagine! Integrating Faith and Psychology: Twelve Psychologists Tell Their Stories edited by Glendon Moriarity forward by Gary Collins (IVP Academic) $24.00 I love these kinds of resources that allow various Christian scholars dedicating to relating faith and professional work, Bible and theory, to share the way in which they do this. Each practitioner tells of their journeys (including the role of mentors), their struggles and doubts, their methodologies, and their understanding of Christian scholarly integration. This includes lessons learned and wisdom gained. What a great encouragement for anyone in this field. luralistic vision for the health of the commonwealth. Very important. “Right Reason” and the Princeton Mind: An Unorthodox Proposal Paul Kjoss Helseth (P&R) $21.99 Many scholars of American religious history, and anybody that cares about the schisms within Presbyterianism, knows about the debates that raged in the late 1800s and early 1900s, especially those that centered on the conservative theology at Princeton Theology Seminary. Here’s the quickie version: heavy-hitting (and still important) Reformed theologians like Hodge and Warfield (called “Old Princetonians”) were dismissed by the broader Christian culture, and leaders of what became the PC(USA) for being too rationalistic. This book deconstructs much of that debate, studies what these giants actually thought about the relationship between “heart and mind” and explores the ever-so-relevant debate, even within evangelicalism, about the role of truth, doctrine, what we can know, and what Orthodoxy means in an age of post-liberalism. Makes significant claims about the viability of the Old Princeton Calvinists. Defending Constantine: The Twilight of An Empire and the Dawn of Christendom Peter Leithart (IVP Academic) $27.00 Wow. What can I say? I read the preface and was hooked. Really. This is crazy-making, undoing old adages, pushing some new ideas, and harsh on some scholars I like (like, say John Howard Yoder.) I love this blurb on the back by the ever provocative Douglas Wilson: “For a generation that thinks is approves of those who challenge the conventional wisdom, it can come as quite a shock when someone actually does it.” He notes that this Leithart’s project is done “with Biblical grace, deep wisdom, profound learning, and scholarship that has let the clutch out.” Go figure. Yoder and Hauerwas fans, look out. Lefty anti-empire theologian Bill Cavanaugh of DePaul says that Leithart is “an excellent writer with a flair for the dramatic…one of the most incisive thinkers on questions of theology and politics…” It isn’t every day that a guy gets accolades for his effort to “complicate theology.” Cavanaugh continues, “If the Holy Spirit did not simply go on holiday during that period, we must find was to appreciate Christendom. Any worthwhile political theology today cannot fail to take Leithart’s argument seriously.” Know anybody who dares to read such innovative, prudent scholarship? Thinking in Tongues: Pentecostal Contributions to Christian Philosophy James K.A. Smith (Eerdmans) $19.00 What can I say about this—what a thrilling bit of serious philosophy, drawing on the ways in which Pentecostal experience and practices shape and inform the doing of his work as a neo-Calvinist philosopher. This is not just an example of a charismatic intellectualism, but truly a distinctively Pentecostal doing of serious philosophy, from epistemology to ontology, etc. Spectacular, even for those of us who are neither Pentecostals of philosophers. Highly recommended. By the way, if you haven’t picked up his very important Desiring the Kingdom: Worship, Worldview, and Cultural Formation and, what are you waiting for? One of the most talked about books of last year and a true H&M favorite! 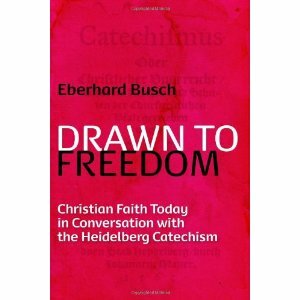 Drawn to Freedom: Christian Faith Today in Conversation with the Heidelberg Catechism Eberhard Busch (Eerdmans) $32.00 Karl Barth oficionados know the name Eberhard Busch (his Great Passion is deservedly considered the best introduction to this giant of 20th century thinkers.) Most won’t know, but we are happy to tell you, that the expert translation from German if this important Busch text was done by a good friend, a central Pennsylvania pastor whose family are huge H&M supporters. Bill Rader’s name isn’t on the book cover, but he studied in Germany, becoming friends with the Barth family, and translated this with care and great passion. Even in translation (thanks, Bill) this is lyrical and passionate; as Scott Hoezee writes, “Busch has freed the Catechism from its reputation of being outdated and fusty by showing the vibrant relevance of the Reformed tradition’s premier confession in answering questions people are still asking.” Maybe it was written in 1563, but Busch’s reflection is as relevant as can be. God is with us. This is our comfort in life and death. And, it has vast sociocultural implications, about freedom and justice and God’s deliverance of captive’s. Highly recommended. The Ultimate Harry Potter and Philosophy: Hogwarts for Muggles edited by Gregory Bassham (Wiley) $17.95 We carry a number of the “and philosophy” anthologies, and they really are philosophy, not just general pop culture reflections. This one covers all seven books in the series and includes a wide variety of topics, themes, and contributors. The editors for this one are both professors at Kings College in Wilkes-Barre, PA ( a respected Jesuit school.) Others include one on Alice in Wonderland, Lost, Mad Men, Rock Climbing, Hunting and more. 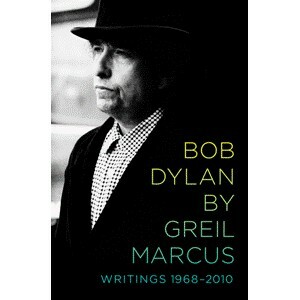 Bob Dylan by Greil Marcus: Writings 1968-2010 Greil Marcus (Public Affairs) $29.95 Almost 500 pages of the sensational Greil Marcus may be more than most can take, but there is little doubt that he is one of the most important rock critics of the past 50 years, and certainly the most important–when you can figure out what the heck he’s talking about–about Dylan. Author of a set of standard works, he is the respected and crazed music critic of his generation. As the title suggests, this compiles his Dylan-obsessed oeuvre, which, as always with Marcus, reaches beyond itself to capture the flamboyance of the American popular culture. Brilliant, mostly. I did not know more than five names among these authors and endorsers! Yikes, I have my reading ahead of me.